R&V Engineering has supplied two identical dual stage burner systems for a hybrid integrated thermo solar combined cycle (ISCC) power plant. The 150 MW Hassi R’Mel power plant in Algeria is one of the first hybrid thermo solar and combined cycle power generating facility in the world. 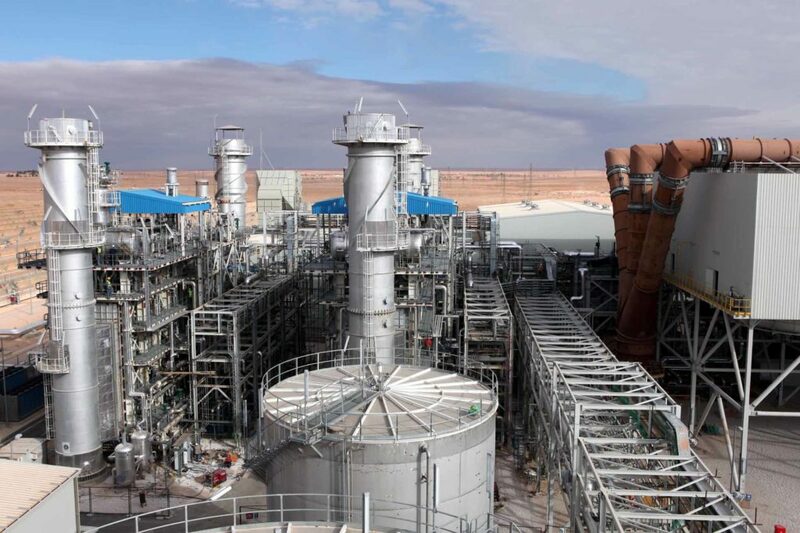 Located at Algeria’s largest natural gas field, Hassi R’Mel, the plant consists of two 40 MW gas turbines, two 75 MW supplementary firing systems, one 80 MW steam turbine, and two parabolic trough solar fields with a generating capacity of 25 MW. The solar fields comprise 224 parabolic collectors in 56 loops in an area measuring 180,000 sqm. R&V Engineering has supplied two identical dual stage burner systems for two heat recovery steam generators behind two gas turbines. The burners fire natural gas in both stages. The burners are designed to meet the most stringent emission requirements.